An artist who was among the primary figures in the Realist movement, Gustave Courbet has proven himself as one of the most remarkable artists during his time. Gustave Courbet, born as Jean Désiré Gustave Courbet, was a renowned French artist during the 19th century Realist movement. He was dedicated to presenting his independent style in art as he steered clear of the traditional art techniques during his time. In fact, his unique styles became a source of inspiration among the cubists and impressionists. It was his paintings during the 1840s that made him quite popular. His masterpieces attempted to challenge the conventions during that time. 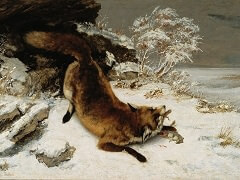 Most of his paintings also featured less political subjects such as nudes, still lifes, hunting scenes and landscapes. Gustave Courbet was born in Ornans, in 1819. His parents were Regis and Sylvie, and they had a thriving farming business. The young boy was drawn to art much to the inspiration of his sisters named Juliette, Zelie and Zoe. In 1839, he decided to move to Paris to undergo training at the Steuben and Hesse studio. Even when he was in Paris, he would often go back to his hometown to find more inspiration for his artworks. Soon, he left the studio as he was more interested in perfect his individual style, and started haunting the Louvre copying old-master heroes such as Titian, Caravaggio and Velazquez. One of Courbet's first masterpieces was an Odalisque, which was largely inspired by the works of a Lelia and Victor Hugo. However, he lost interest in artworks with subjects that featured literary influences. Instead, he became more inspired to create paintings based on realistic themes. Thus, most of his artworks during the early 1840s featured himself while performing various roles. He created a number of self portrats including the Desperate Man, The Sculptor, The Wounded Man, Self Portrait with Black Dog, The Cellist, and The Man with a Pipe, among a few others. By 1846, he began touring Belgium and the Netherlands, and his adventures made him realize the value of portraying images that happen from day to day. He was specifically inspired by the works of Hals and Rembrandt, including a few other Dutch artists who presented their artworks with images of daily life activities. In the latter part of the 1840s, he began to inspire younger art critics and enthusiasts, particulary the Realists and Neo-Romantics. It was in 1849 when Courbet obtained his initial success at the Salon with his masterpiece entitled "After Dinner at Ornans". This painting earned him a gold medal, which meant he was exempted from jury approval until 1857. 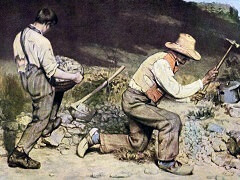 Another great painting by Courbet was the Stone-Breakers, which he created in 1849. Art critics considered this fine piece of art as a model of peasant life. It depicted a scene that the artist observed during one of his travels on the roadside. In addition, his works were not specifically taken from the Neoclassical or Romantic schools of art. He claimed to have his own unique style, and these paintings sprung from his personal experiences. Eventually, Courbet started introducing social issues and imageries in his artworks including peasants and rural bourgeoisie. Soon, his work was labeled as realism, along with the artwork themes of other artists including Jean-Francois Millet and Honore Daumier. 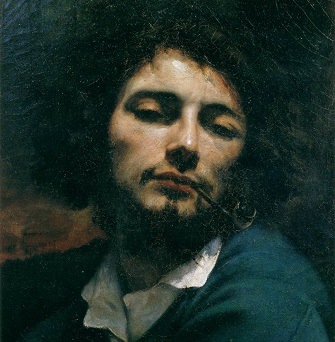 For Courbet, he believed that realism is more focused on rough handling of pigments, and that it should present the reality and harshness occuring in day to day situations. 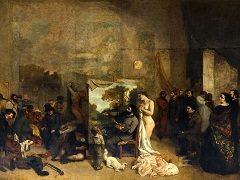 One of Courbet's most sensational works was The Artist's Studio, and it was considered as a masterpiece by several artists including Baudelaire and Eugene Delacroix. According to the artist, this masterpiece presented his life and the world around him. He explained that there were various elements in the society where he lived including wealth, poverty, misery and sufferings. 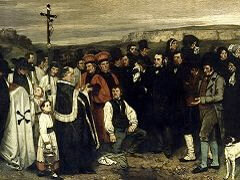 Thus, there were several figures included in the painting such as a grave digger, prostitute and priest among a few others. After serving a prison sentence in 1872, Courbet experienced additional problems despite the end of the Vendome Column. A year after his sentence was over, President Patrice Mac-Mahon decided to have the column rebuilt, and the cost of reconstruction was to be settled by Courbet. Unfortunately, the artist did not have enough means to pay for the expenses, which made him decide to go on a self-imposed exile. He settled in Switzerland, and he became active in national and regional exhibitions in this foreign land. Soon, he became the head of a Swiss realist school, which inspired a number of artists including Ferdinand Hodler and Auguste Baud-Bovy. During his life in exile, he was able to create magnificent works of art such as various paintings of a trout, which he claimed to symbolize his own life. In addition to painting, he became fascinated with sculpting. In fact, one of his finest sculptures was called The Fisherman of Chavots, which he completed in the 1860s. He donated this sculpture to Ornans, yet it was later removed after the arrest of the artist. 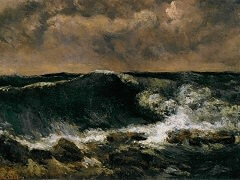 In 1877, Courbet died in La Tour-de-Peilz, in Switzerland while on exile. He suffered from a liver disease, which was caused by the artist's heavy drinking. 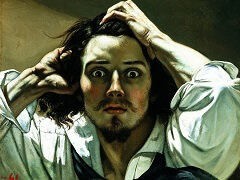 During his lifetime, Courbet has influenced a number of artists in the younger generation. In fact, Claude Monet featured a portrait of the artist in a painting entitled Le Déjeuner sur l'herbe. Courbet implemented an independent style of realism, which inspired several artists such as the Liebl Circle of German artists. His unique style was also evident in the works of other artists such as Vincent van Gogh, Paul Cezanne, James McNeil Whistler and Henri Fantin-Latour. 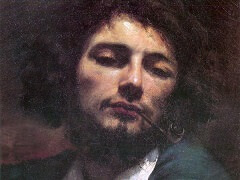 Indeed, Courbet has managed to remain as an inspiration to many despite his personal trials and challenges during his time. His ingenuity and craftsmanship made him one of the most revered artists in history, and his legacies continue to live on years after his death.